Salient can be used to launch all kinds of beautiful, professional and cool websites. 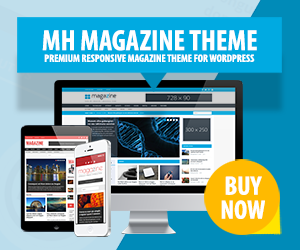 This multi-concept WordPress theme offers such useful features as unlimited colors, advanced typography, responsive layout, retina readiness, a bunch of page templates and many more. Using Salient you may select from several header layouts to display an appealing header for your website. Salient is suitable for musicians, freelancers, restaurants, photographers and other businesses or services.